Microsoft CEO Steve Ballmer said at a conference that he’s still interested in acquiring Yahoo in order to build a search powerhouse that could better compete against Google. Ballmer made those comments on-stage Thursday at the McGraw-Hill Media Summit in New York during a conversation with BusinessWeek Editor-in-Chief Stephen Adler. Yahoo last year rejected Microsoft’s offer to acquire the search engine giant, worth nearly $45 billion. Ballmer said Microsoft’s interest in Yahoo is not about search technology, as Microsoft already has the technology. Instead, he said, the interest is in the volume of the searches. So there are returns to scale, and putting the scale together is valuable, Ballmer said. “From a technology perspective, whether we call it Kumo or whatever it is, it’s all about doing great table takes, playing the relevance game as well as Google, and then driving super hard on driving the user experience in ways that are valuable to the user,” he said. Microsoft is following that strategy with or without Yahoo, but the question is one of scale, Ballmer said. He said that after Carol Bartz took over last month as CEO of Yahoo, he talked to her over the phone and said they should talk more after she has had time to settle in. “I’m sure, when it’s appropriate, we’ll have a chance to sit down and talk,” he said. The “hackathon” was as much a symbol of Yahoo rising from the ashes of a burned-out courtship with US technology colossus Microsoft as it was a chance for software wizards to work their magic on Yahoo’s platform. The approximately 300 hackers that swept onto the firm’s campus in Sunnyvale, California, had the first chance to tinker with the inner workings of Yahoo online offerings such as its globally popular free email. Yahoo earlier in the week outlined a shift to an “Open Strategy” that it believes will jazz-up the website and lead to meshing offerings from hot online properties such as Amazon and iTunes with its web pages. “Open is a really important strategy for us,” Yahoo Developer Network head Chris Yeh told AFP as hackers fueled up on pizza, keg beer and caffeine-based energy drinks for all-night software writing sessions. Breaking down walls between websites where people store digitized photos, videos, messages, and musings is a trend that’s overdue, according to Internet users and developers. Yahoo announced plans to revamp its homepage in coming months to allow people to customize home pages with mini-applications, including those crafted by third-party developers and vetted by Yahoo. “Jerry (Yang) and I are dedicated to keeping that spirit of openness and innovation alive, but we know that we can’t come up with all the great ideas ourselves,” Yahoo co-founder David Filo wrote in a ‘Hack Day’ message. Hackers working alone or in teams set up camps in booths or tables in URL’s Cafe in the heart of Yahoo’s campus while others retreated to classrooms or stuffed chairs on the second floor of the two-story building. “This is the Yahoo that you know; that you’ve always dealt with,” said Moore, who attended the company’s first and only other US hack day in 2006. Some broke from coding intermittently through the night to nap in tents pitched in a grassy courtyard or play classic arcade videogames including Pac-Man and Galaga. Musically inclined hackers tested their skills on faux instruments playing pretend rock stars in the Rock Band video game. Nearly 50 “hacks” were completed by the time the event wrapped after dark on Saturday. An Icarus.tv hack served up music videos in online radio style, scouring the Internet and fetching performances that promise to fit people’s tastes. Yahoo claims more than 500 million users worldwide but has been struggling to cash-in on its popularity. Yahoo’s sagging fortunes and Google’s ascension as Internet advertising king prompted Microsoft on January 31 to offer to buy Yahoo for 44.6 billion dollars in a half-cash, half-stock deal. Microsoft was eager to combine online resources with Yahoo in order to better battle Google. Microsoft walked away from negotiations May 3 after Yahoo rejected an offer it raised from 31 dollars to 33 dollars per share, which amounted to 47.5 billion dollars. 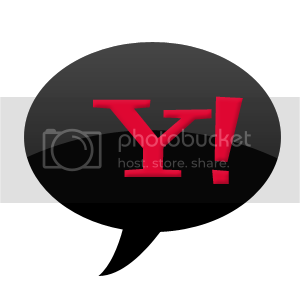 Yahoo subsequently made a deal with Google to put its online advertising expertise to work on Yahoo websites. That deal is to take effect later this year if it passes muster with US anti-trust regulators. Microsoft Corp.’s security team will help third-party developers of Windows applications and add-ons find and fix bugs in their software, the company said today. The program, dubbed Microsoft Vulnerability Research (MSVR), is a formalization of things the company currently does, not a brand-new initiative, said Andrew Cushman, the company’s director of security response and outreach, from the Black Hat security conference. Microsoft has, at times, gone public with work it has done in collaboration with other software vendors. One of the most recent examples was in May and June, when Microsoft worked with Apple Inc. on flaws in both its own Internet Explorer browser and Apple’s Safari. Then, however, Microsoft took shots at its rival, telling users in one of its security advisories that they should stop using Apple’s browser until it was fixed. Earlier this year, Microsoft helped out Yahoo Inc. by issuing a “kill bit” update through its Windows Update service that disabled a buggy ActiveX control installed by Yahoo on PCs that played tunes purchased from its now-defunct online music store. According to Cushman, Microsoft’s security researchers will report bugs they find during their work to third-party developers, and coordinate their work to make sure that details of those vulnerabilities don’t go public before a patch is in place. He also said Microsoft would help those third-party companies in other ways, but he was somewhat vague about the extent of that help. When asked if Microsoft would enhance its Windows Update service so that it pushed third-party updates to Windows users, for example, he hesitated for several seconds before answering: “That’s a hard question. We’re always looking to provide the best experience for our customers, so we’ll examine all aspects, including vulnerability identification, other mitigations and as a final link, detection and deployment. Cushman said the move was in Microsoft’s own interests, but he also argued that it would be a win for everyone. “Some may question [our motives], but this is for the good of customers and the enterprise, and it will help protect their environment of Microsoft [software] and other software as well. “It will raise the level of security and is good for the whole ecosystem,” he added. Yahoo’s onePlace creates bookmarks to Web pages and then lets users organize those bookmarks into categories. Yahoo on Tuesday introduced onePlace, a service that lets people organize Web content so it can be quickly accessed through a mobile browser on a phone or other Internet-connected device. Unveiled at the CeBit technology show in Hannover, Germany, onePlace creates bookmarks to Web pages and then lets users organize those bookmarks into categories. The service includes a search engine for finding bookmarks. As Yahoo envisions it, a person planning a trip to Paris could create a collection of bookmarks, or links, to information such as a weather site, city guides, restaurant reviews, hotels, walking maps, etc. OnePlace includes a mobile RSS reader, so people can subscribe to content feeds to stay on top of the latest information. Users also can create links to personalized content on the Yahoo network, including MyYahoo, Flickr, and Del.iciou.us. “With the introduction of Yahoo OnePlace, we are announcing the next essential component to our mobile product line up,” Marco Boerries, executive VP of connected life at Yahoo, said in a statement. Yahoo last month introduced oneConnect, which will combine e-mail, instant messaging, text messaging, and social networking on one mobile platform. The company plans to roll out oneConnect, along with onePlace, in the second quarter as part of Yahoo Go 3.0, an all-in-one mobile offering. In addition, Yahoo is planning to release at the same time a new mobile home page. One of the more impressive features of oneConnect is a socially connected address book, which will allow users to transfer activities from social networks, professional networks, and communities to their address book. For example, users will be able to stay on top of when a contact updates their status or uploads a photo to their profile. New data released by Hitwise yesterday shows that there is a socio-economic difference between those frequently using Yahoo and those more frequently using Google. The graph right demonstrates â€œOnline Representationâ€ based on demographic types. The Y axis represents Yahoo, the X axis Google, with the higher the number, the more that particular group of users uses each service. Yahoo is strong in â€œstruggling societies,â€ â€œblue collar backbone,â€ and â€œremote America,â€ where as Google obtains higher use in â€œsmall town contentment,â€ â€œaffluent suburbia,â€ and â€œupscale America.â€ The size of each circle represents how many in each group have spent $500+ online. The differences between the groups arenâ€™t great, but the results do go some way in explaining the Yahoo conundrum. Although a distance second in search, Yahoo has remained the number one traffic destination online ahead of Google, so youâ€™d think with more traffic Yahoo would convert that traffic into similar returns to Google. But alas we know that not to be the case, and that would appear in part to be related to people using Yahoo not spending as much online and being in poorer demographic categories than Google users, providing a lower return per user. Update: unlike some of the class warriors in our comments, just to reiterate: these figures are not exclusive, ie: lower demographics use Google as well and higher demographics use Yahoo, it simply points out that according to Hitwise there is a weight either way among users of both services. That is an interesting split, both when considering yields per user on each site, and in a broader sense which services appeal to these different groups. Thereâ€™s nothing discriminatory is pointing out data from a third party, and those suggesting this is some sort of class based conspiracy from TC say more about themselves than this post. All data is good if it helps us understand markets and in this case the user base on two of the largest internet companies there is.